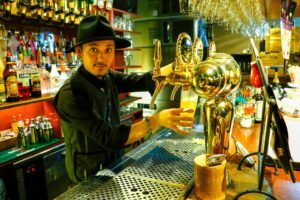 If you’ve spent any time in Tokyo looking for a reliable watering hole (that doesn’t put a major dent in your wallet with outrageous drinks prices, entrance fees, and table charges), then you’ve probably stumbled across (or out of) the original 300 Bar in Ginza — or one of its two sister venues nearby. Ginza 300 Bar 5-Chome, Ginza 300 Bar 8-Chome, and Ginza 300 Bar Next are all located in Ginza, renowned as being the poshest area in Tokyo. If you aren’t super familiar with the area, live elsewhere in the Kanto region (or Japan) or are just traveling in Tokyo — it can be a tricky location to find a comfortable, family and tourist-friendly space to enjoy cocktails, have some bites and mingle with friendly locals. For over 25 years, 300 Bar has been the place in the area to do this thanks to its welcoming staff, English menu and fun, international atmosphere. True to its name everything on the menu is only ¥300. After work or shopping, before dinner or heading out to a club or as a destination in its own right, you can stop by these standing bars, known as tachinomi in Japanese, and enjoy a quality tipple for the cost of just three ¥100 coins. 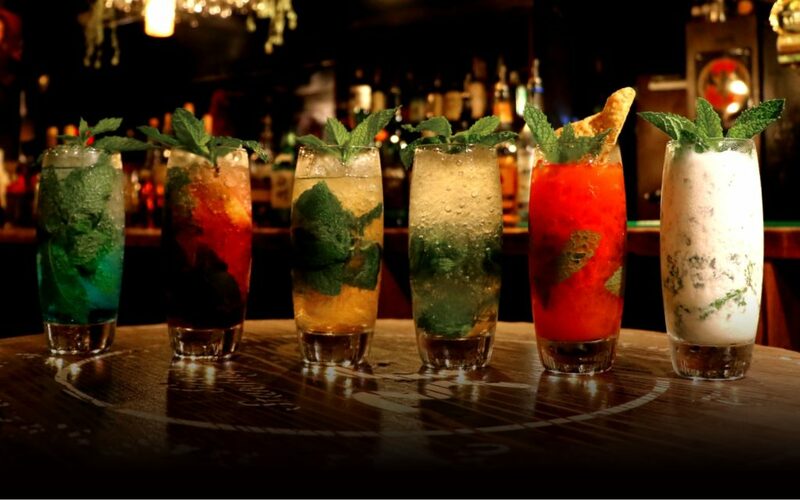 Even better, from 5 p.m. to 7 p.m. the happy hour at Ginza 300 Bar puts even its top-shelf premium spirits on sale for ¥300. Did we mention that all this happens in the middle of ultra-glitzy Ginza and within an easy walk of Ginza, Shimbashi, Yurakucho and Hibiya stations? With superhero film series like Spider Man and Batman done and redone to death, it’s become a cliche to say that Hollywood has run out of ideas. So what do you do when you run out of ideas? Get them from someone — or in Hollywood’s case — somewhere else. For many years now, Hollywood has been trying and mostly failing to adapt popular Japanese anime and manga for the big screen. Likewise, television networks and streaming services have followed suit trying to produce live action television remakes of the same. A good example of this would be Netflix’s live action series Erased. Sadly, good examples of American live action adaptations are few and far between. Whether it be the difficulty of adapting stories between very different mediums or failed attempts to please both Japanese and American target audiences, it seems like Western production companies just can’t seem to get it right. 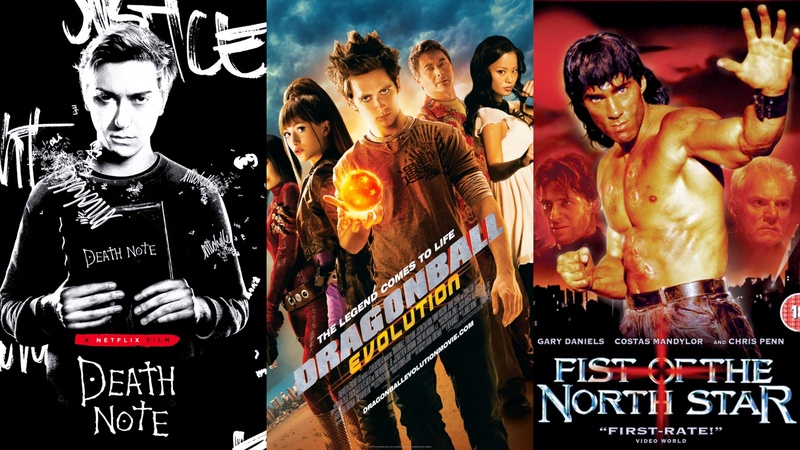 While good live action adaptations may be few, there are some gems out there that definitely deserve a watch. 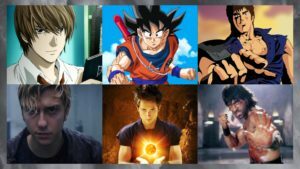 The films or shows on this list comprise three of the biggest failures and three of the most well-done Western remakes of popular Japanese anime and manga. There are very few manga that captured my interest — and scores of others around the world — as quickly as Death Note by Tsugumi Ohba and Takeshi Obata. From the same duo that brought us the hit series Bakuman, Death Note is a perfectly-paced, heart-pumping crime-thriller about a boy named Light Yagami who finds a death god’s notebook. The story revolves around a “death note” from the journal that has the power to kill whoever’s name is written within it. 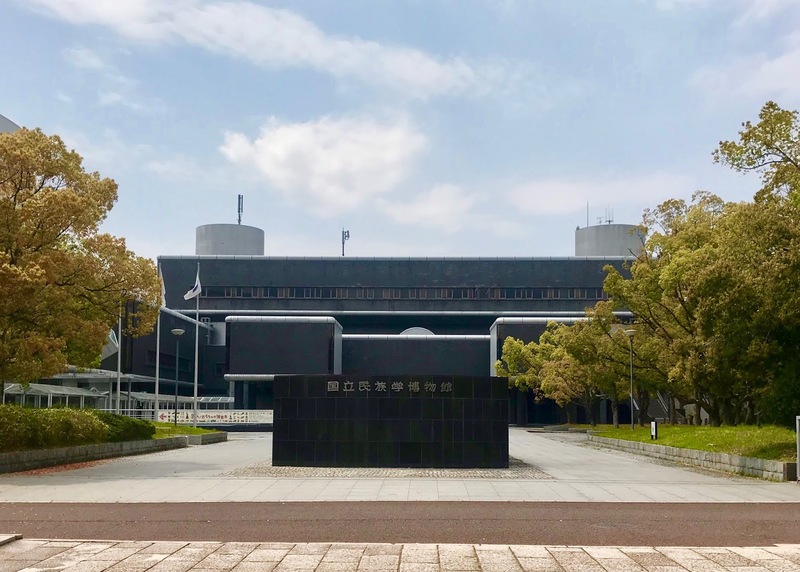 Local elections for mayors and municipal assemblies in Japan just wrapped up on Sunday, and thank goodness for that. This means there will be no more would-be politicians riding around town in campaign vans, yelling out their names repeatedly over megaphones. No more soapboxing outside train stations. And no more tissue marketing. Well, at least not until 12 days before the next local election. You see, local elections in Japan are a bit different from other countries. What politician hopefuls can and cannot do is extremely regulated, including rules such no door-to-door campaigning, as well as no campaigning until 12 days before election day. The result is Japan’s modern-day campaign style, which can be both a blessing and a curse — and also, pretty hilarious. And as for the hilarity, it mostly comes in the form of bizarre campaign posters. These are heavily regulated too, having to fit inside a 297 cm by 420 cm rectangle on a poster board to show who is running for a seat in the municipal assembly. 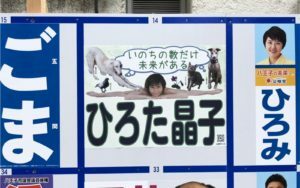 This year, a particularly ballsy poster for Hachioji Ward assemblywoman hopeful Shoko Hirota showed her completely naked and doing the splits. 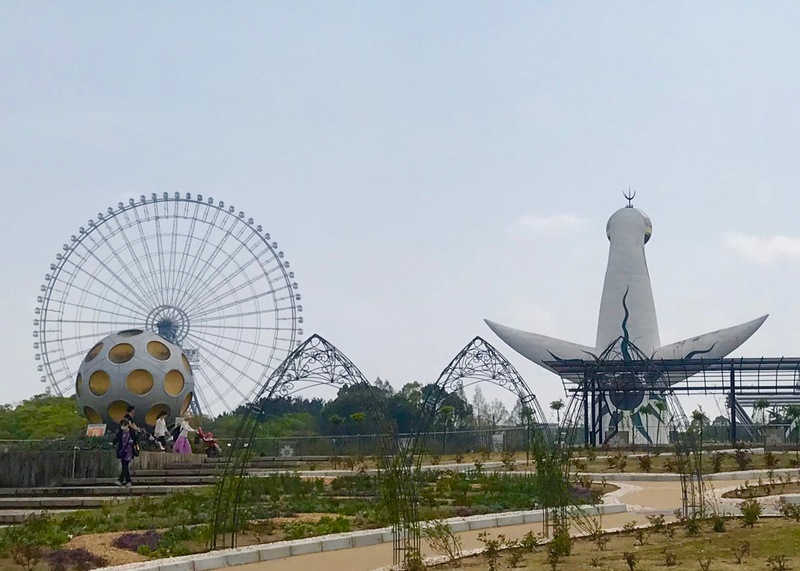 If you’re into Japanese art and culture, both contemporary and traditional, and want to discover a remote part of Japan studded with scenic views and fresh seafood, the 2019 Setouchi Triennale is the event you don’t want to miss this year. While the festival happens on multiple and mostly remote locations, our guide will go through how and why each locale is special, so you’ll be ready to confidently get to and enjoy each one. Why go to the Setouchi Triennale? 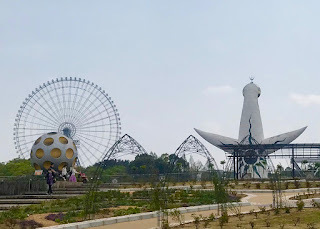 Where is it located in Japan? Why it is located there? 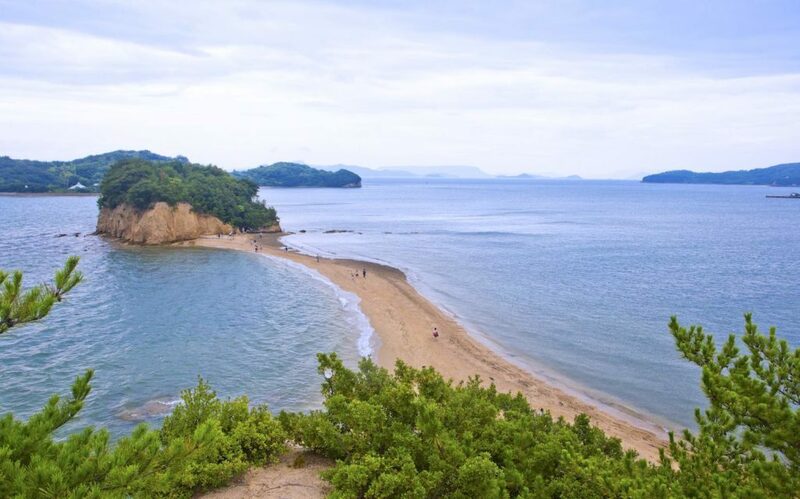 One of the biggest art festivals in Japan, the Setouchi Triennale takes place on 12 small islands and two ports of the eastern part of Japan’s Seto Inland Sea. You’ve probably seen photos of the Yellow Pumpkin by Yayoi Kusama at least once or twice without knowing where it really resides. 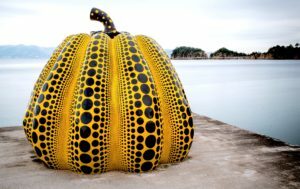 The giant polka dot-covered sculpture has become a symbol of the fantastical art-and-island experience the Setouchi Triennale holds, but it is just one of the around 200 mysterious artworks, installations, and events from artists from all over the world that you can discover there. Angel Road at Shodoshima, one of the islands in the scenic Setouchi area.